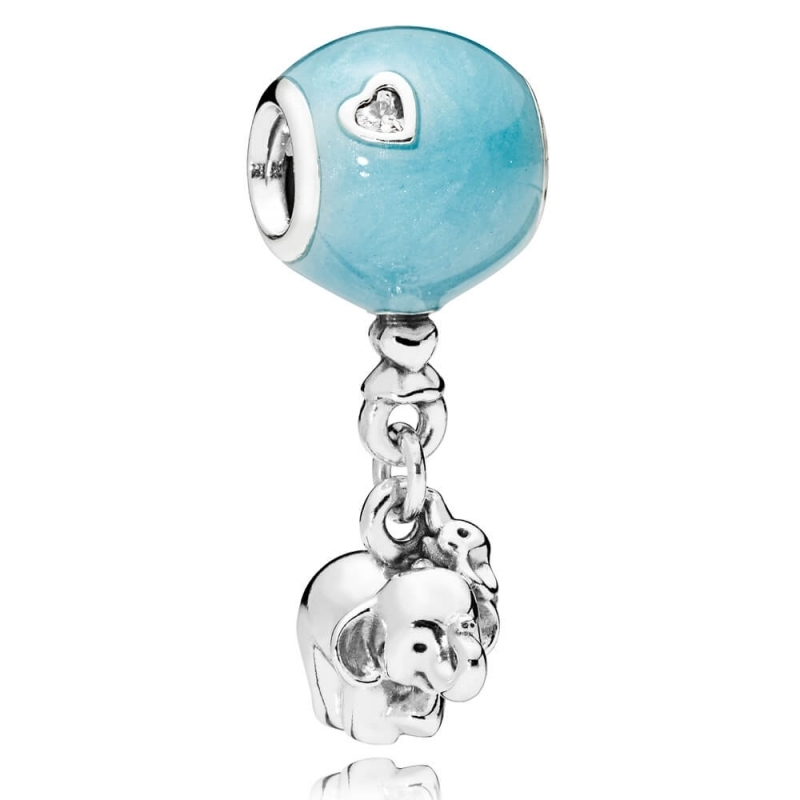 PANDORA Elephant and Blue Balloon Charm. Made from sterling silver and finished in baby blue enamel, this stunning dangle charm is simply adorable. A sweet baby elephant is suspended from a balloon and highlighted with a heart shaped cubic zirconia - making it the perfect gift for a mother-to-be.